We are in the peak of travel season and many families are heading out for vacation. These days, it is more and more common for our pets to accompany us on our trips. For your typical road trip, traveling with your dog or cat is fairly simple. However, if you are considering taking your pet with you on a flight, particularly internationally, things become a bit more involved. 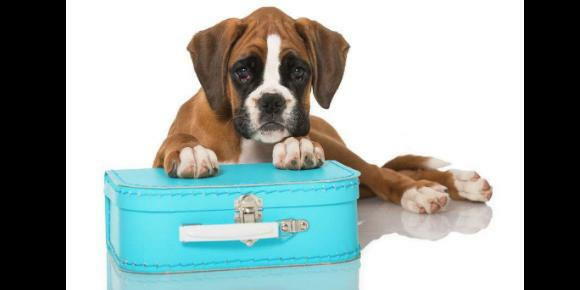 Here are a couple of things you should consider when thinking about taking your pet with you on vacation. 1. Basic interstate travel by car: There are no special documents you need to drive your dog or cat into other states on a temporary basis. Most states consider 21 days or less to be temporary, which covers most vacations. However, I would recommend taking a copy of your pet’s vaccination history and rabies certificate in the event that your pet needs some sort of veterinary care or needs to be boarded on an emergency basis while you are out of town. Hopefully, you won’t need it, but better to be prepared. Also, consider your pet’s tolerance for travel prior to your trip. Short car rides at home in preparation for your drive can help your pet acclimate to time in the car. If your pet seems anxious or nauseous (some pets get motion sickness), talk with your veterinarian about medications that may help with these conditions. 2. Domestic flights: Nearly all commercial airlines require a health certificate in order to allow your pet to fly. You will need to visit your veterinarian within a specified time frame (depending on the airline), which is usually within 10 days of travel, to have your pet examined for the health certificate. At Dogwood, we also include a Certificate of Veterinary Inspection in the event that you are asked for this document by an official at your destination. You will likely not be asked for it, but we want you to be prepared just in case! When considering air travel (both domestic and international), how will your pet fly? If at all possible, I recommend flying your pet in the cabin with you. This definitely limits the size of pet you can bring, but there have been so many accidents and deaths in dogs that are flown in cargo, I feel I have to advise against it. 3. International travel: Taking your pet internationally can be a whole different ballgame. Depending on your destination, preparation for the trip can take up to 6 months. Some countries only need vaccination proof, while others require testing for multiple diseases, rabies titers, and specific parasite control. In short, you need to know and start preparing for taking your pet internationally months in advance. Otherwise, you will likely have to leave them at home. For information regarding international pet import requirements, visit the APHIS Pet Travel website at https://www.aphis.usda.gov/aphis/pet-travel. In my opinion, being able to take your pet with you on your travels can make your vacation experience complete. What is better than a long walk on the beach or a hike through the mountains with your best friend? Contact us- we can help ensure your travels are smooth and stress-free for everyone!